Courtesy of Paul Julian, Pathfinder Realty Inc..
Beautiful, updated ranch home in Washington Township! Recent updates include new carpet, new ceramic tile flooring, brand new granite counter top, new fixtures, new faucets, new lighting, fresh paint, and more! Home features 4 bedrooms, 2 full bathrooms, 2,156 sq. ft. per PRC, 0.9 acres, two car attached garage, central air conditioning with heat pump, radiant floor heating, electric fireplace, dining room, and more! Taxes are currently on Homestead Deduction. Easy to show! Directions: Spring Valley Pike to north on Clyo Road to Hide A Way Lane. Driveway is off of Hide A Way Lane. Please, send me more information on this property: MLS# 783733 – $229,900 – 8665 Clyo Road, Washington Twp, OH 45458. 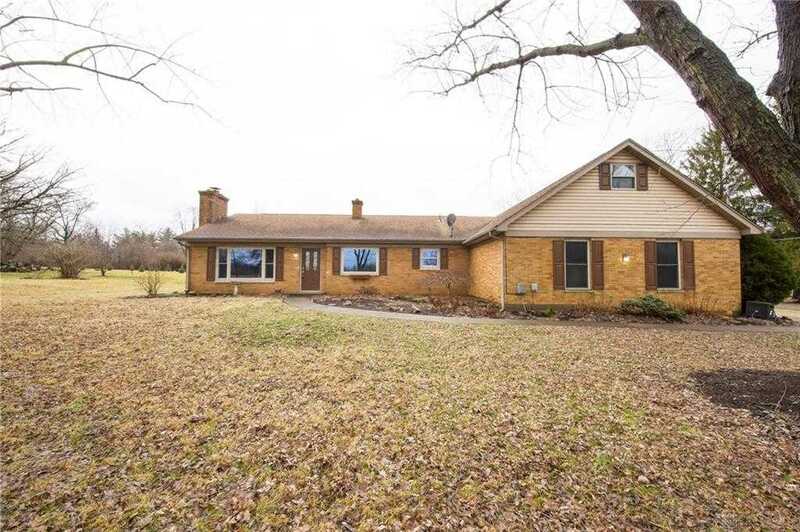 I would like to schedule a private showing for this property: MLS# 783733 – $229,900 – 8665 Clyo Road, Washington Twp, OH 45458.